Any natural or artificial person who is a proprietor, joint proprietor, or an assignee or licensee of a mark can apply to the Trademark Registrar for registration of his or her interest in a mark. A device, brand, heading, label, ticket, name, signature, word, letter, numeral or any combination thereof can be registered and are protected as trademarks. Non-traditional marks, such as sound, smell, taste, texture and moving images, are not registrable in Nigeria as trademarks. Deceptive or scandalous matters or designs or any matter that is likely to cause confusion are prohibited by law from being registered as trademarks. Names of chemical substances and geographical names in their ordinary signification are not registrable. Service marks, though not provided for in the Trademarks Act 1967, are registrable in Nigeria. Registration of service marks is carried out pursuant to a regulation issued by the Minister of Commerce and Industry on 19 April 2007, which extends the classification under the Fourth Schedule of the Trademarks Act 1967, which initially covered 34 classes to cover both goods and services as in the Nice Classification to cover 45 classes of goods and services. the loss he or she has suffered or is really likely to suffer by the reason of the defendant’s misrepresentation as to the source of defendant’s goods or services, which seems to suggest that they emanate from the claimant. Typically, the entire process of registering a trademark usually takes about 12 to 18 months. In recent times, the process has taken as long as 24 months owing to the repeated personnel changes in the office of the Trademarks Registrar. At the current exchange rate of 305 naira to US$1, on average it could cost between US$900 to US$1,000 to obtain a trademark registration in Nigeria in a single class. Delay by the Trademarks Registry in publishing the Trademarks Journal and repeated changes in the personnel of the Trademarks Registry, as well other administrative bottlenecks, usually increase the estimated time of registering a trademark. A power of attorney is required to register a trademark in Nigeria with no legalisation or notarisation. A translation document may also be required where the trademark is in a language other than English. Trademarks are registered in Nigeria in accordance with the Nice Classification of goods and services under the internationally recognised class headings. Trademarks are registered by single-class applications with no cost savings for official fees. In practice, however, attorneys provide discounts for multiple applications. whether the mark is deceptive, scandalous or in any way prohibited by law. If the Trademarks Registrar is satisfied with the application based on the above grounds, a Notice of Acceptance will be issued to the applicant. Otherwise, a Notice of Refusal will be issued to the applicant. Although not provided for by law, the Trademarks Registrar, in practice, accepts letters of consent to overcome objections based on a third-party mark. Applicants may respond to rejections by applying for a hearing or making a considered reply in writing to the rejection within two months. Use of a trademark is not required before the trademark can be accepted for registration. However, there must be a bona fide intention to use at the time of application. The applicant does not have to submit any proof of use when an application for registration is filed. As of the date of this publication, foreign registrations are not granted any rights of priority in Nigeria even though provision is made for priority applications in the Trademarks Act 1967. It is instructive to note that the necessary executive order that would specify countries to be recognised in Nigeria as Convention countries for the purpose of claiming priority for trademark registrations is yet to be made. A registered trademark must have been used at least one month before the date of application and within a period of five years of its registration to defeat a third-party challenge on grounds of non-use. Yes. An applicant is allowed to apply for a hearing or make a considered reply in writing to the objections raised by the Registrar of Trademarks within two months of the Registrar’s objection. Where an applicant does not respond as required above within two months, the application is deemed to be withdrawn. Afterwards, the Registrar may then choose to conditionally accept the application or still reject it. The decision of the Registrar here is subject to a right to appeal to the Federal High Court and thereafter to the Court of Appeal, and finally to the Supreme Court. After the application for registration is accepted by the Trademarks Registry, the application is advertised or published in the Trademarks Journal. Any interested party who may have an objection to the registration of the trademark may within a period of two months thereafter file a notice of opposition. This period cannot be extended. Where a person decides to challenge an application, a notice of opposition stating the grounds of opposition of the registration is filed using the prescribed form. The official cost of filing the notice of opposition is about US$30, and in total costs US$500 to US$800. Upon receipt of the notice of opposition, the Registrar sends a copy of such notice to the applicant. The applicant is required to file a counterstatement, enumerating the grounds upon which he or she relies for his application, within one month of receipt of the notice of opposition. An application will be deemed abandoned where an applicant fails to file a counterstatement. The official cost of filing a counterstatement is about US$30, and in total it costs US$500 to US$800. Where the applicant files a counterstatement, the Registrar shall send a copy of the same to the opponent and the opponent shall thereafter file evidence supporting his or her opposition by way of a statutory declaration. The official cost is about US$30, and in total costs US$500 to US$1,000. Upon receipt of the opponent’s statutory declaration, the applicant is also given the opportunity to file his or her own statutory declaration, adducing evidence upon which he or she relies for his or her application, following which, the opponent may also file a reply by way of statutory declaration within one month of receipt of the same. Thereafter, no further evidence shall be left on either side. However, extensions may be granted at the leave of the Trademarks Registrar to either of the parties to file additional evidence by way of statutory declaration. The Registrar shall subsequently give notice of a hearing and the matter shall be decided. All copies of documents submitted to the Registrar with regard to opposition proceedings must be in duplicate. A third party may institute opposition proceedings. is similar to a famous or well-known trademark. A brand owner may apply to the Registrar or the Federal High Court for a cancellation of a registered trademark on the ground of bad faith. Cancellation proceedings are charged on a case-by-case basis. A trademark registration is valid for a period of seven years from the filing of the application, and is renewable thereafter for subsequent periods of 14 years. The use of a trademark is not required for its maintenance. However, if the trademark is not used for a continued period of five years (as discussed in question 7), it becomes susceptible to revocation for non-use. Registration confers an exclusive right to use the trademark in relation to the goods and services for which it was registered and to institute an action for infringement of the trademark. Yes, a licence can be registered against a trademark in Nigeria. A licensee is recognised as a registered user under the Trademarks Act 1967. Use of a registered trademark by a licensee is deemed to be use by the proprietor for the purpose of establishing use. Also, the licensee can join the proprietor as a co-claimant in an action for infringement of the registered trademark. Registered trademarks (including applications) can be assigned or transferred in respect of all the goods and services in respect of which they are registered or in respect of some (but not all) of those goods and services. It may be assigned with or without goodwill. Other business assets need not be assigned to make the assignment of trademark a valid transaction. A duly stamped deed of assignment suffices for an assignment of trademark. Notarisation or legalisation is not required to make the assignment valid. The prescribed form is also required to be completed and lodged at the Trademarks Registry. Also, an authorisation of agent (power of attorney), one each from the registered proprietor and the assignee, is required for the registration. Yes. Where an assignment is not recorded at the Trademarks Registry, an assignee cannot furnish the assignment agreement as proof of its title to the registered trademark. There are no provisions for the registration of a security interest on a trademark at the Trademarks Registry and under the Trademarks Act 1967. However, a security interest on a trademark owned by a Nigerian company must be registered at the Corporate Affairs Commission within 90 days of the creation of the security interest. Registration at the Corporate Affairs Commission ensures the security interest is enforceable against the company by the creditor. Where the security interest on a trademark is not registered at the Corporate Affairs Commission, the security interest will be void against the creditor. Under the Trademarks Act 1967, the use of the word ‘registered’ or any other word referring expressly or by implication to registration is taken to mean a reference to registration in the Trademarks Register. Marking is, however, not mandatory. The Trademarks Act 1967 confers a civil right of action on the trademark owner to seek redress. The Federal High Court is vested with the exclusive jurisdiction to entertain trademark infringement-related issues. The Merchandise Marks Act, Cap M10, Laws of the Federation of Nigeria 2004, prescribes a prison term of two years or a fine or both imprisonment and a fine for offences established under the Act. On conviction, the offender is liable to forfeit all chattel, articles or instruments by means of or in relation to which offence has been committed. The Counterfeit and Fake Drugs (Miscellaneous Provisions) Act Cap C34, Laws of the Federation of Nigeria 2004 imposes penalties for dealing in counterfeit trademarked goods. The Nigerian Customs Service is empowered to search for, seize, detain and destroy infringing goods brought into Nigeria. A trademark owner may take advantage of this route by a petition to the Comptroller General of the Nigerian Customs Service. 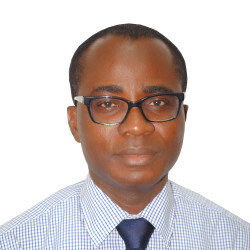 In addition, the Trade Malpractices (Miscellaneous) Offences Act, Cap T12, Laws of the Federation 2004, prescribes a fine of 50,000 naira (approximately US$163) for the offence of labelling, packaging, selling, offering for sale or advertising any product in a manner that is false or misleading or likely to create a wrong impression about the quality, character, brand name, value, composition, merit or safety of such a product. Infringement proceedings are required to be commenced by writ of summons. There is no time limit for commencing an action for the infringement of trademark. Discovery, live (oral) testimony and the use of expert witnesses are allowed. The action is decided by a single judge and it may take up to three years to complete the proceedings. The onus is on the trademark owner to prove an alleged infringement. As with every other civil proceeding, the case is decided on the preponderance of evidence. not being the proprietor of the trade mark or a registered user thereof using it by way of permitted use, uses a mark identical with it or so nearly resembling it as to be likely to deceive or cause confusion, in the course of trade, in relation to any goods in respect of which it is registered, and in such manner as to render the use of the mark likely to be taken either: (a) as being use as a trade mark; or (b) in a case in which the use is upon the goods or in physical relation thereto or in an advertising circular or other advertisement issued to the public, as importing a reference to some person having the right either as proprietor or as registered user to use the trade mark or to goods with which such a person as aforesaid is connected in the course of trade. Power of prosecution for a criminal complaint lies in the police and the Attorney General of the Federation. No. 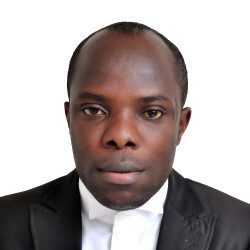 Nigerian trademark law and criminal law do not have extra-territorial effect. The alleged infringement must have been committed in Nigeria. A party may be compelled to disclose relevant documents or materials to an adversary through procedures called ‘interrogatories’ (to provide information) and ‘discoveries’ (to provide documents). Interrogatories and discoveries are employed. Obtaining a preliminary injunction could take between four days and two weeks from date of filing of the action; trial to obtention of judgment could take between two to three years and a final appeal to the Supreme Court could take between eight and 10 years. The usual costs are government filing fees, which are assessed on the amount of claim and lawyer’s fees. Costs are usually awarded in favour of a successful party and there are a plethora of decided cases on this. A specific amount may be recovered where specifically proven (eg, filing fees). Otherwise the quantum of costs recoverable is usually at the discretion of the court. Appeal against the decision of the Federal High Court (the trial court) is made to the Court of Appeal at the first instance, and finally to the Supreme Court from the Court of Appeal. Fair use, honest concurrent use, proprietor’s abandonment of the trademark or non-use, as well as non-renewal etc, can all be raised as defences. According to Order 53 Rule 7 of the Federal High Court (Civil Procedure) Rules, the party against whom the claim is made may, in his or her defence, put in issue the validity of the registration of that trademark or may counter-claim for an order that the register of trademarks be rectified by cancelling or varying the relevant entry or both. The following remedies are available: orders of injunction restraining current and future acts of infringements; delivery of infringing articles and items; accounts for profits; and costs and damages. ADR techniques such as arbitration, mediation, negotiation and conciliation are available. Save for arbitral awards, the outcome of the other ADR techniques are only enforceable if entered as a judgment of court. ADR techniques save costs and time. Famous and well-known trademarks are allowed to be registered under the Trademarks Act 1967 as defensive trademarks. This affords the proprietor registration without the need to establish use in respect of the goods and services for which the trademark is registered. The Industrial Property Commission (IPCOM) Bill, 2016 (the IPCOM Bill) passed its second reading at the Nigerian House of Representatives on 8 January 2017. The IPCOM Bill seeks to harmonise the various intellectual property legislations and bodies by establishing a single law and body for the administration of trademarks, patents and designs in Nigeria, among other improvements. The IPCOM Bill further seeks to repeal the Trademarks Act 1967 and the Patents and Design Act 1971. It also makes provisions for the protection of trademarks, patents, designs, plant varieties, and animal breeders’ and farmers’ rights. If passed into law, IPCOM will take over the functions of the currently existing Trademarks, Patents and Designs Registry. The IPCOM Bill now awaits further legislative action and input by stakeholders. Founded in 1994, G. Elias & Co. is one of Nigeria’s leading business law firms. We have an international outlook and an outstanding record of carrying out critical, innovative and complex work to the highest standards.